Q. Can we have 24 hour opening in the Library? 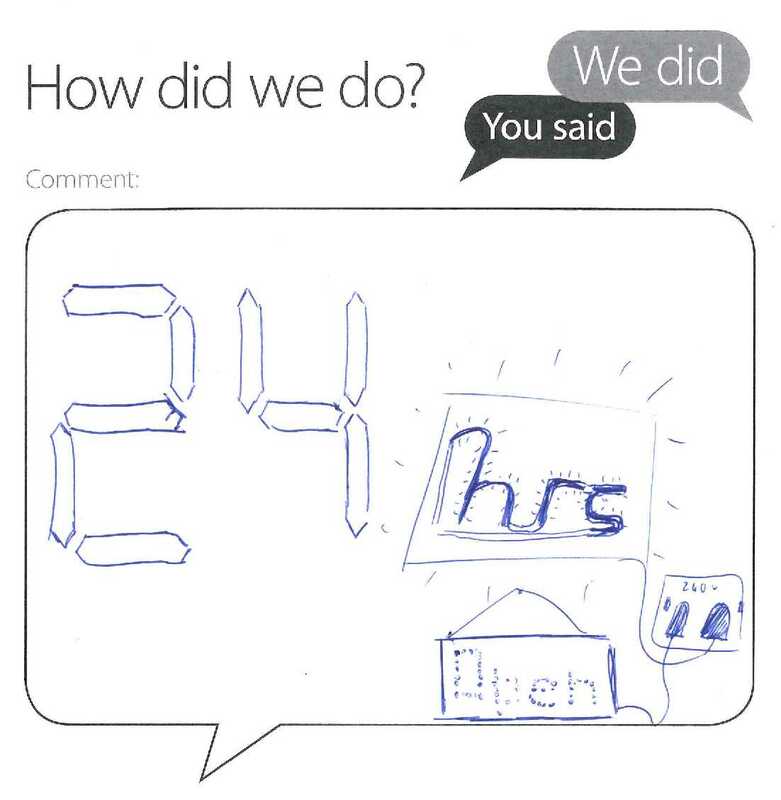 Thanks for completing one of our comments cards recently and for your very creative illustration. Sorry for being a bit slow to reply to your feedback. The Library at St Andrews most recently tried 24/7 opening in 2012/2013. We stayed open for 24/7 over 2 different 2 week periods around the revision/exam diets in December and May of that academic year. Whilst students at the time were very excited about the prospect of 24/7 and Library staff were delighted with the very creative zombie-themed campaign we ran to advertise the initiative, in reality the usage was very low. We found that between 3am and 8am, there were very students in the building and that this was sometimes as low as single figures. There is of course a cost to the University to offer 24/7 to students in terms of staffing (both Library staff and Estates cleaning staff), heating and lighting. We felt after the 2012/13 trial that the lack of use along with the availability of 24/7 PC classrooms in Butts Wynd that we couldn’t justify the expense. Since 2012/13 we have further increased our opening hours both during semester and vacation. We get very few requests for 24/7 and I think yours is the first I’ve seen for a while. So thanks again for your creative feedback but we have no plans to extend opening hours at the moment.